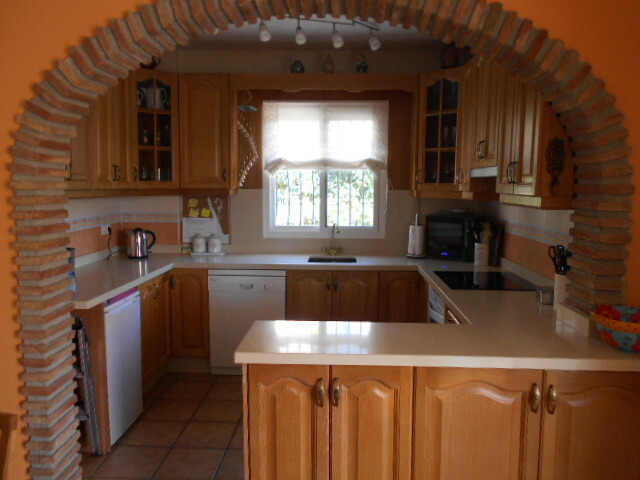 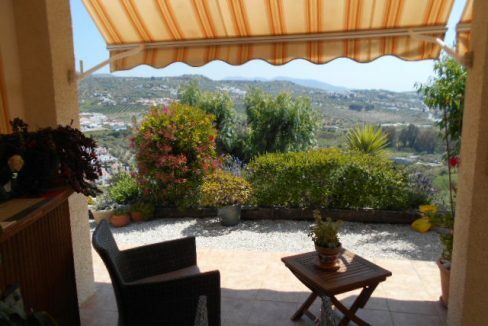 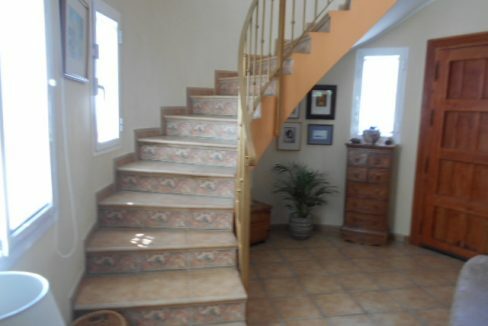 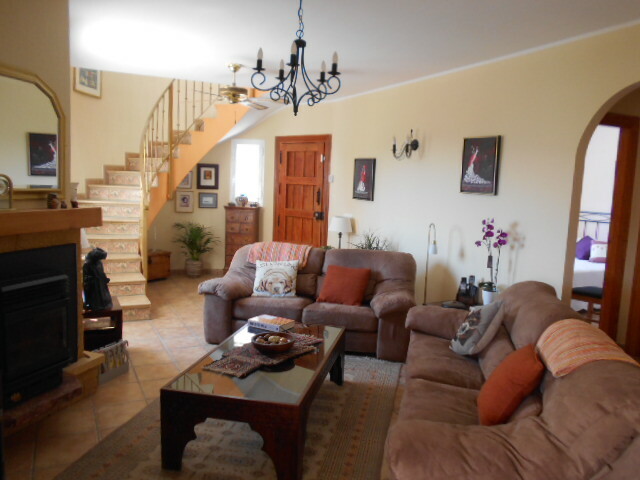 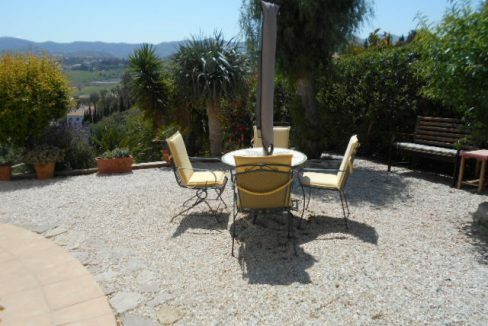 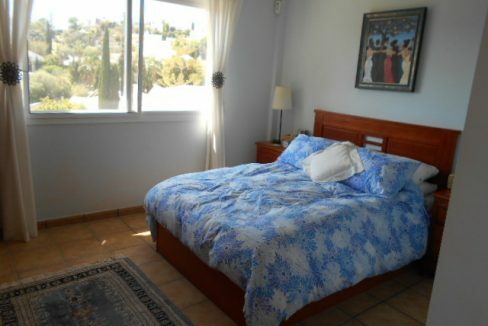 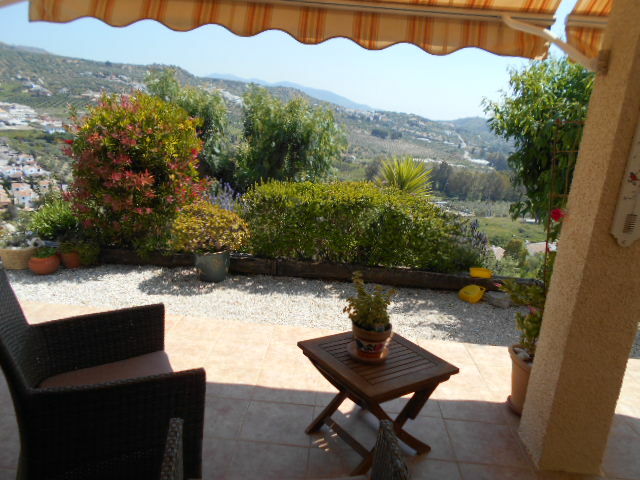 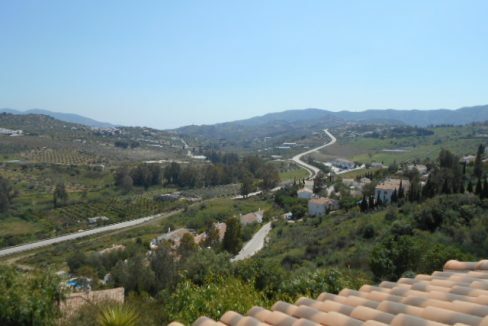 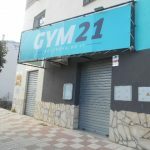 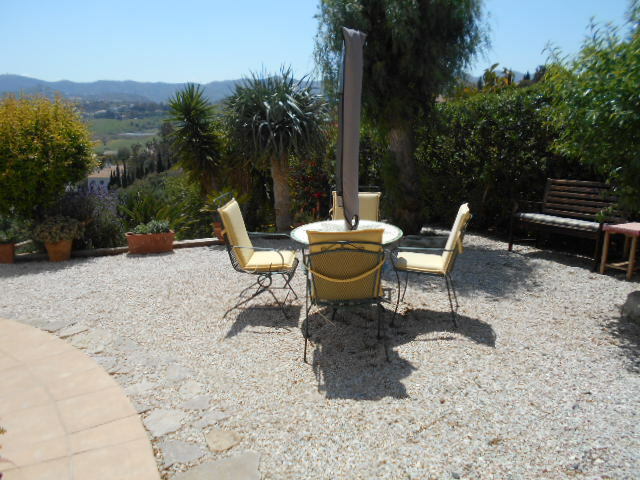 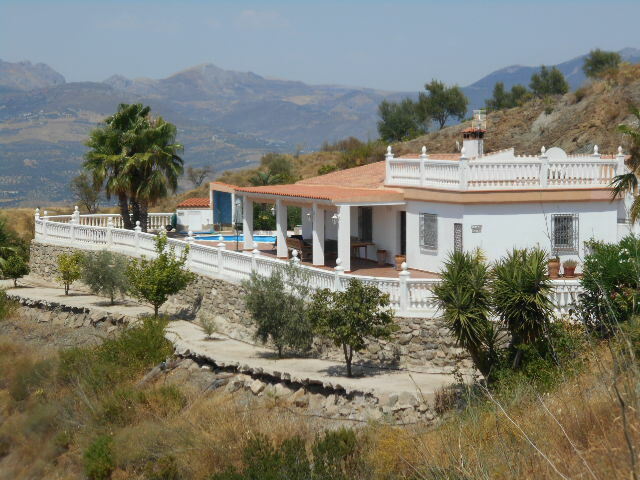 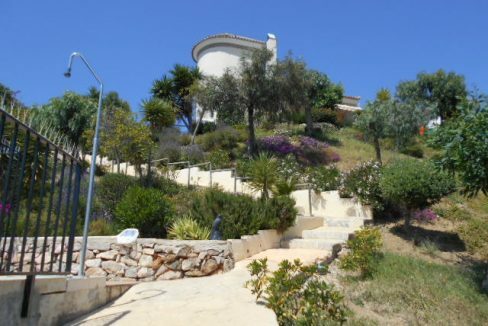 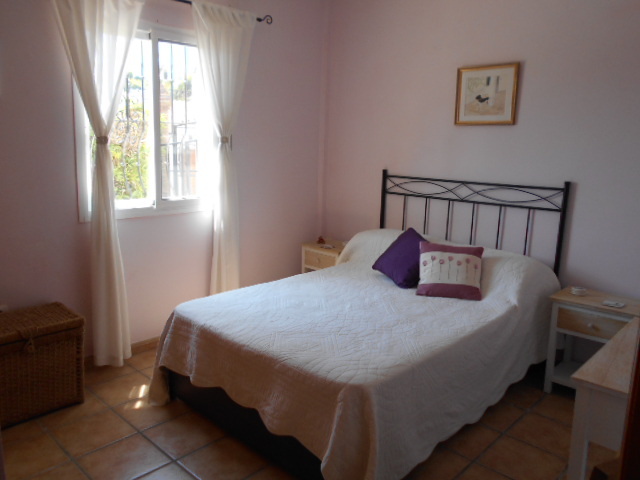 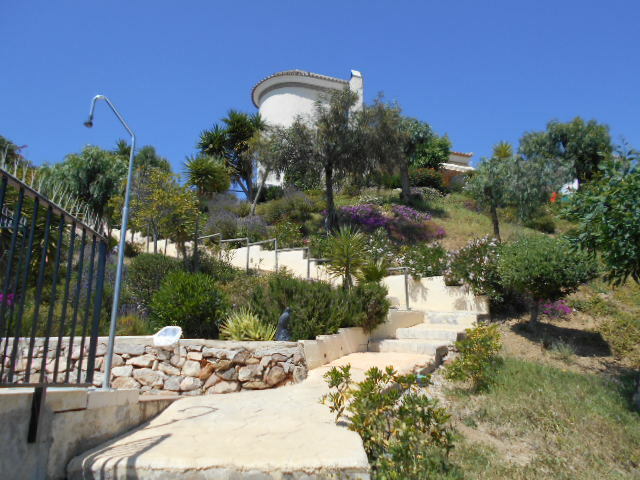 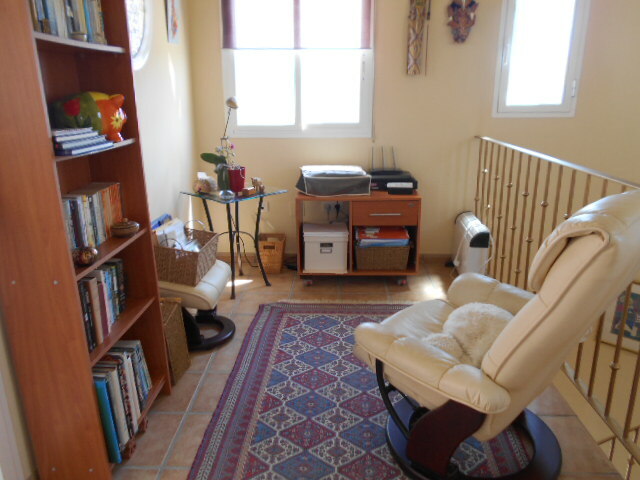 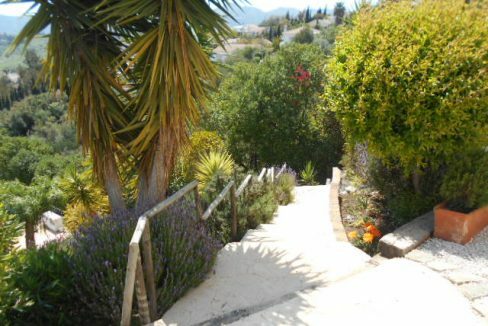 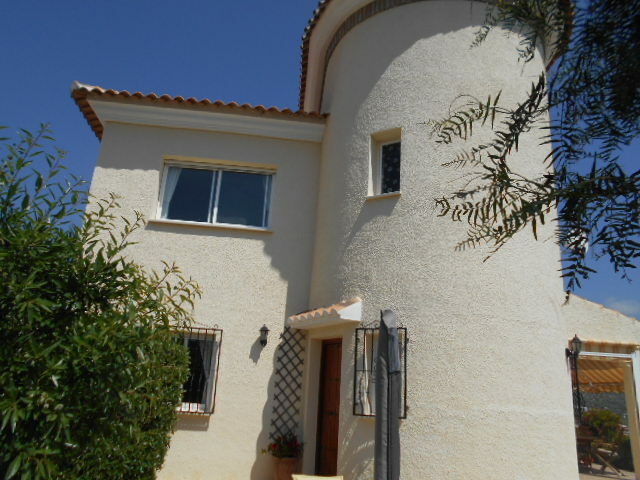 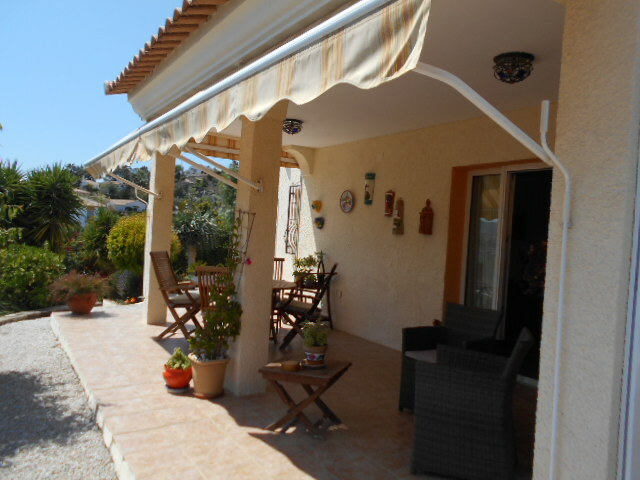 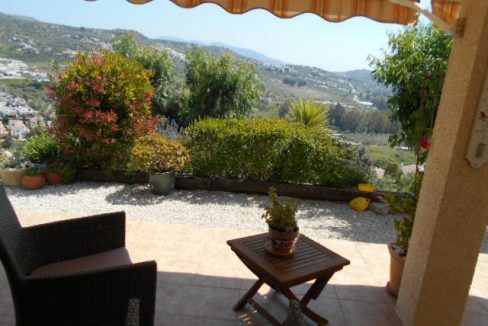 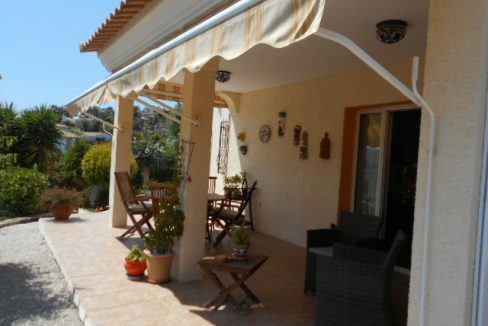 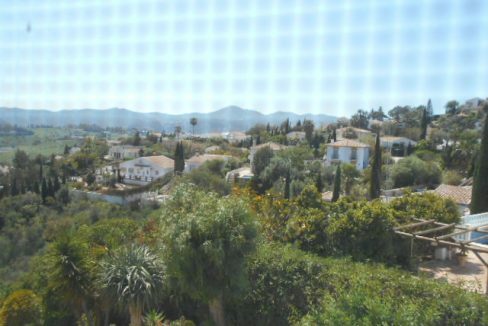 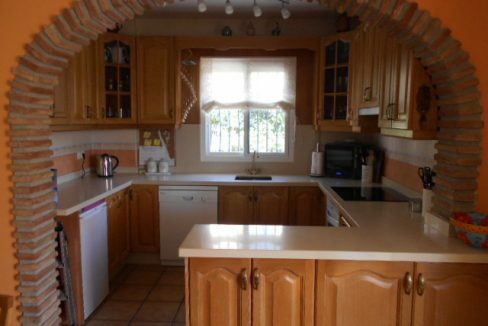 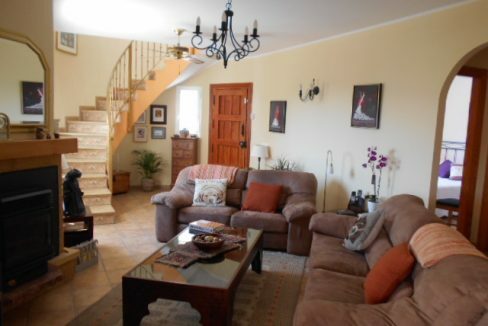 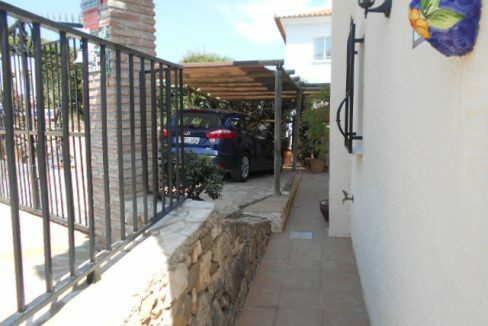 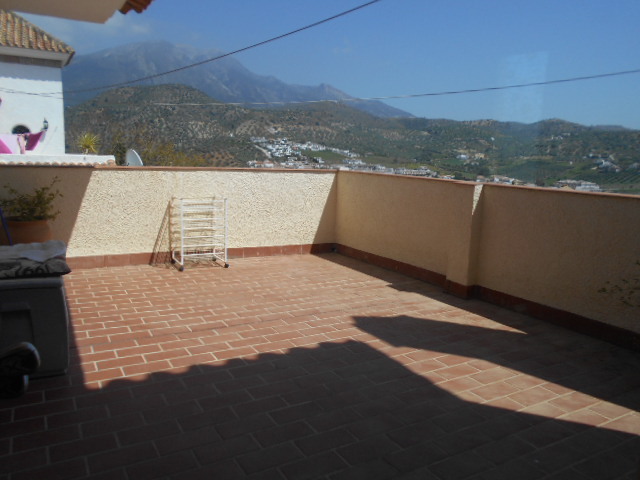 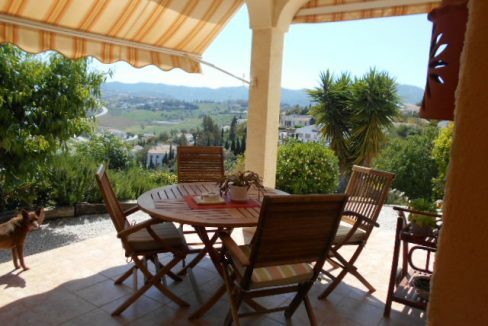 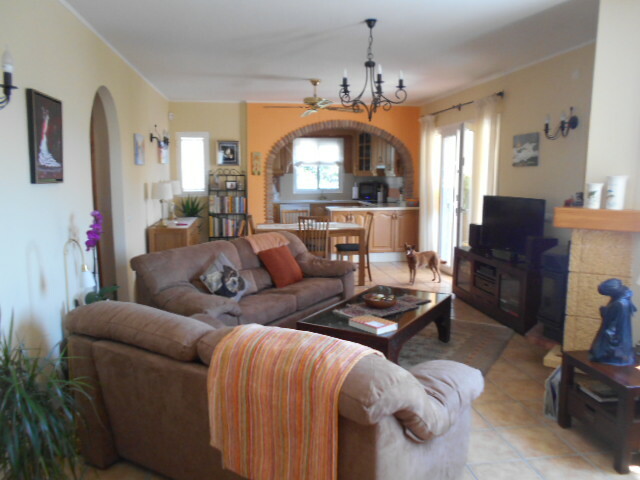 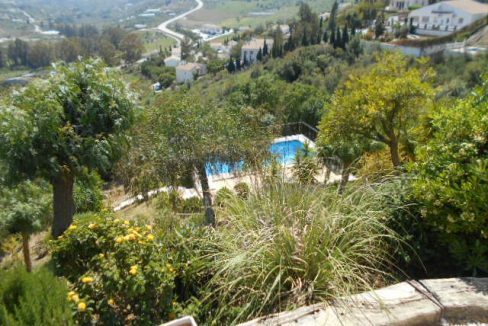 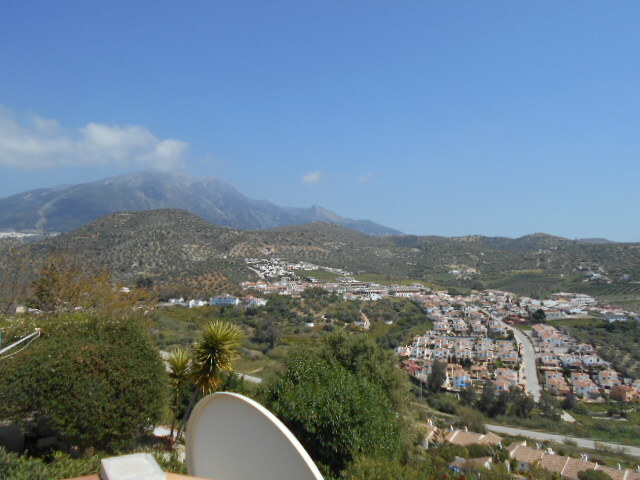 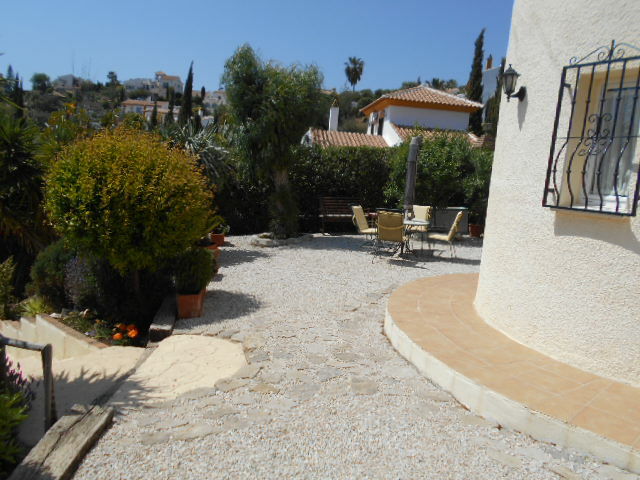 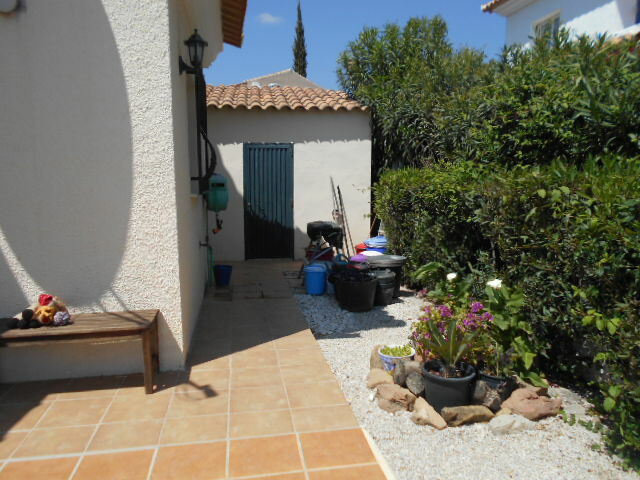 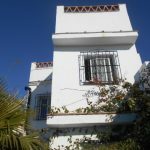 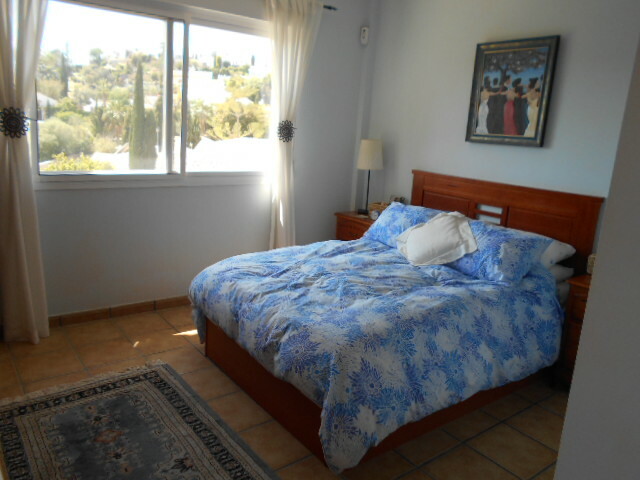 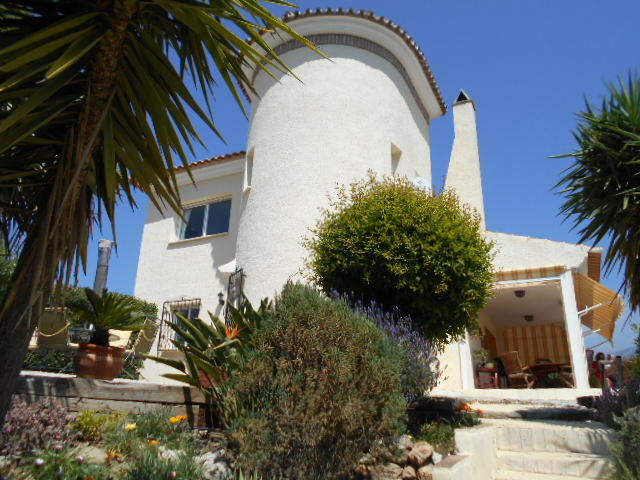 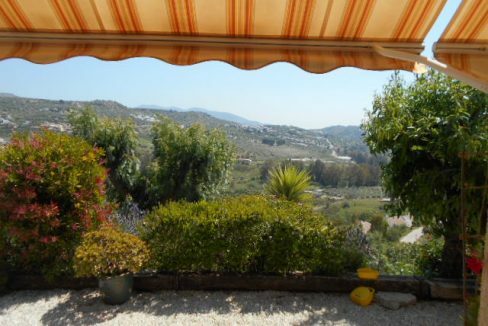 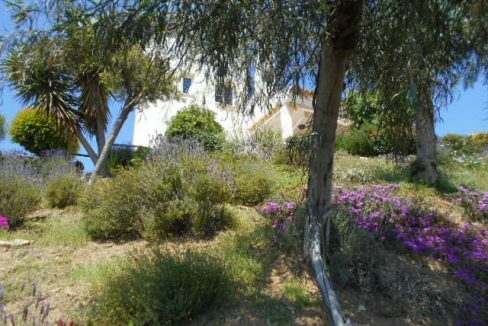 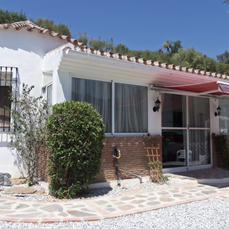 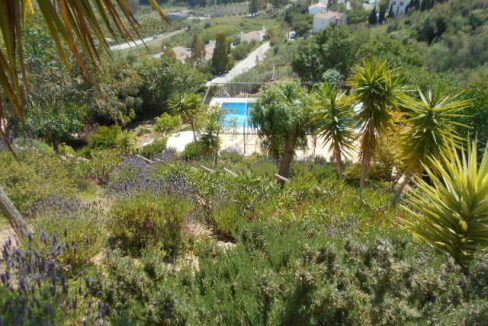 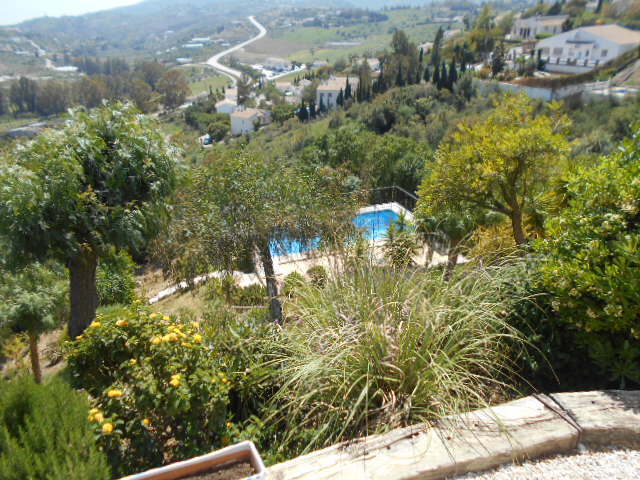 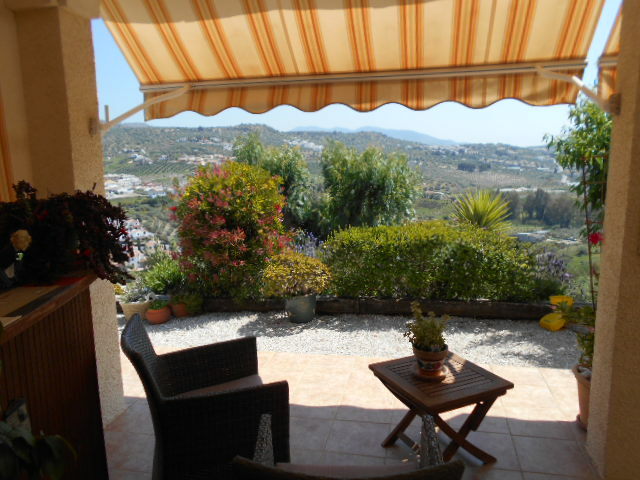 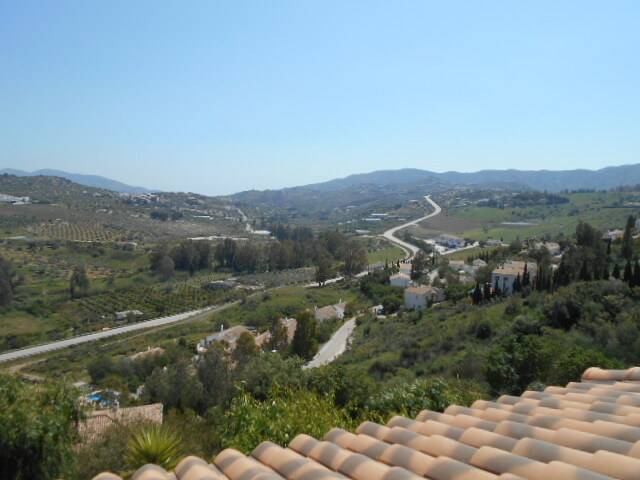 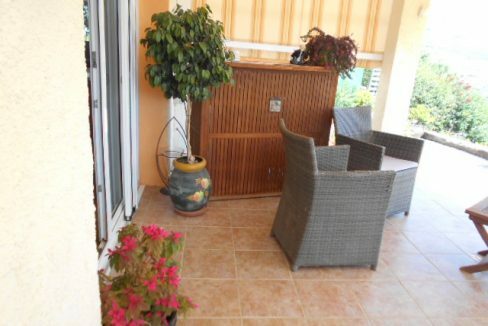 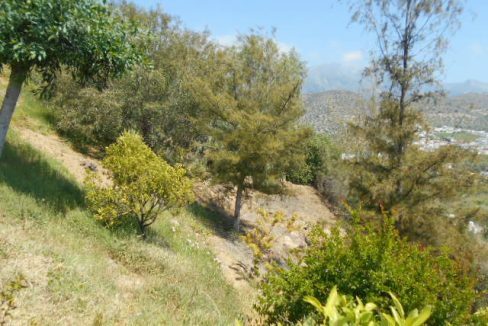 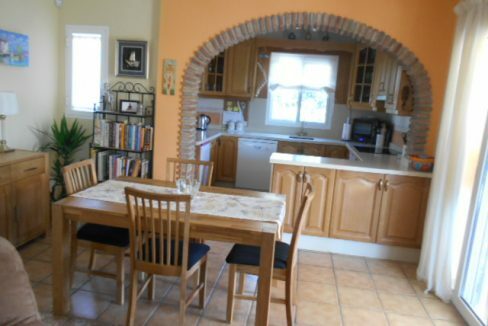 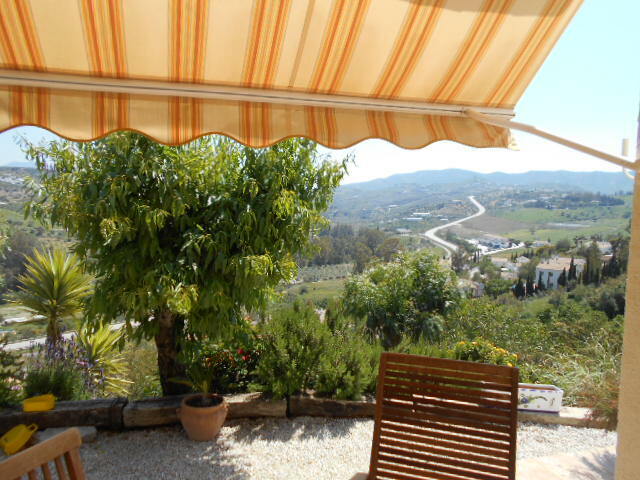 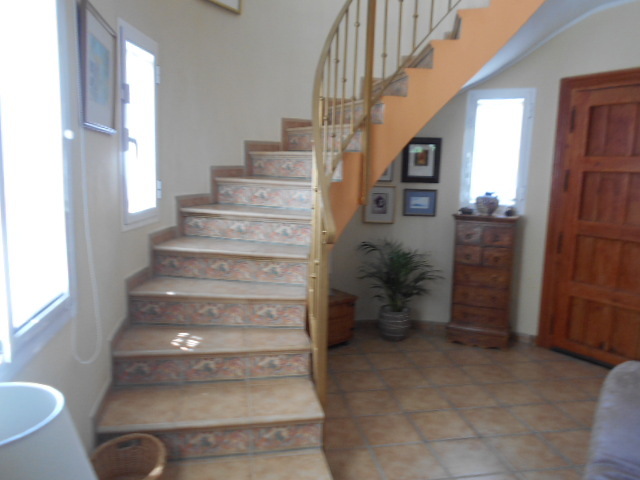 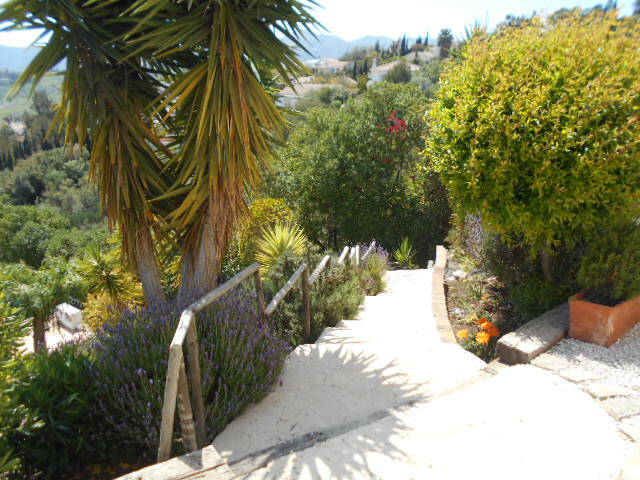 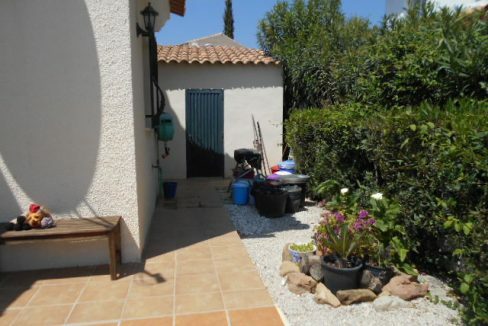 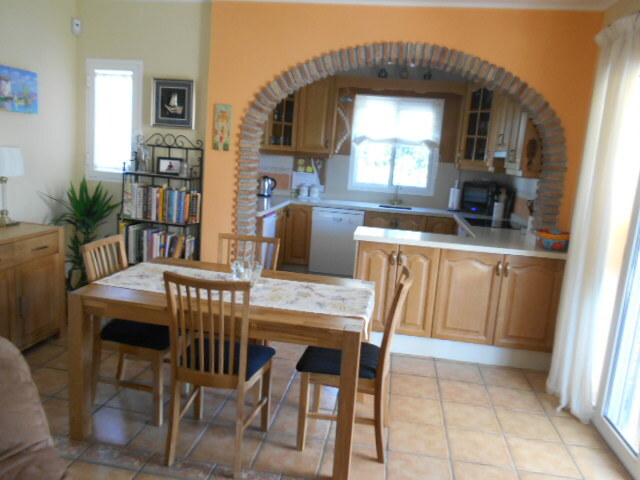 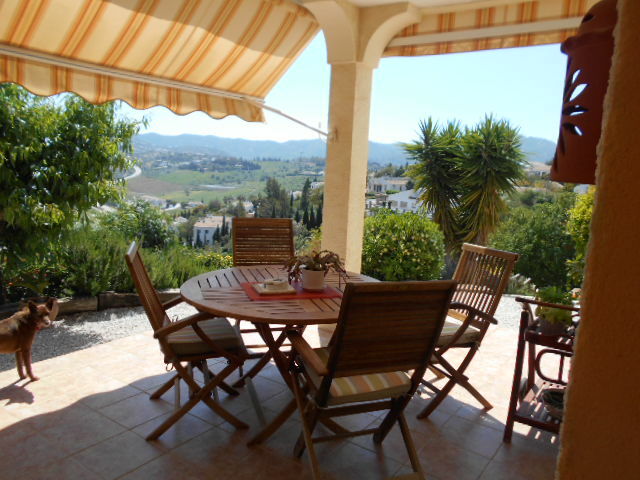 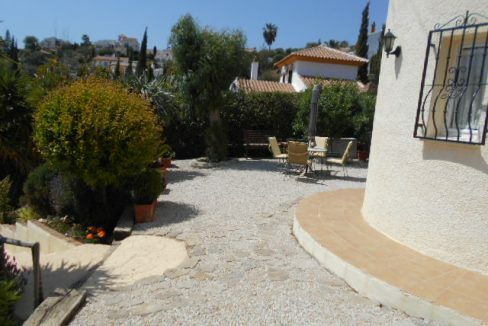 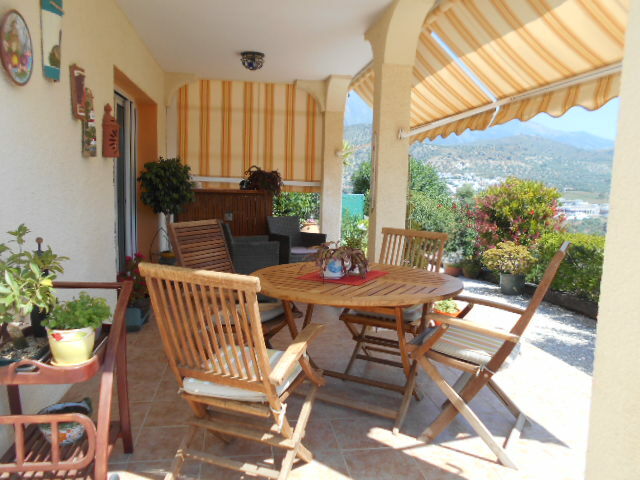 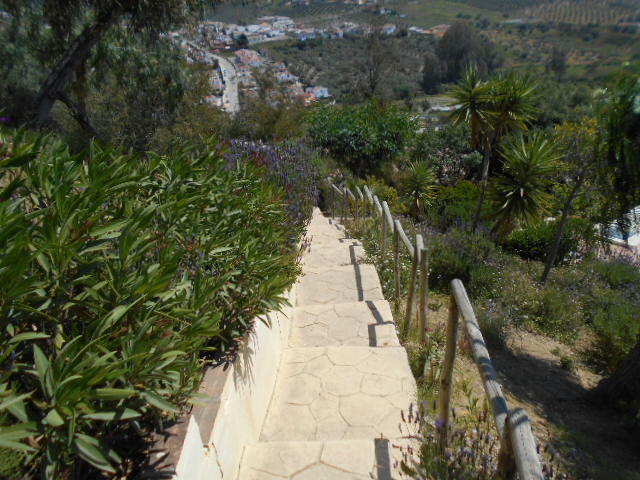 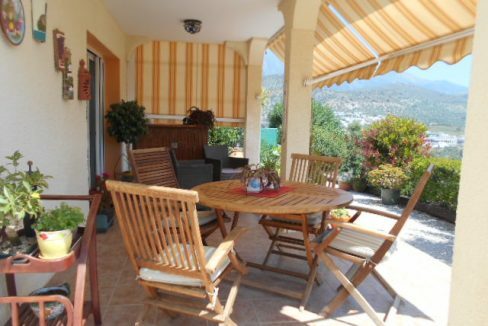 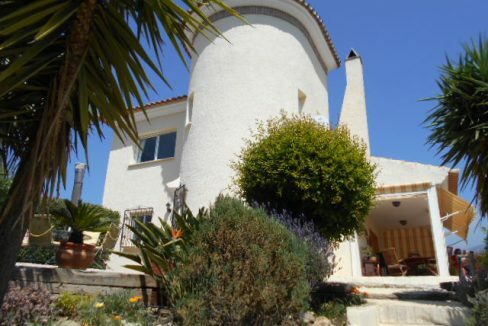 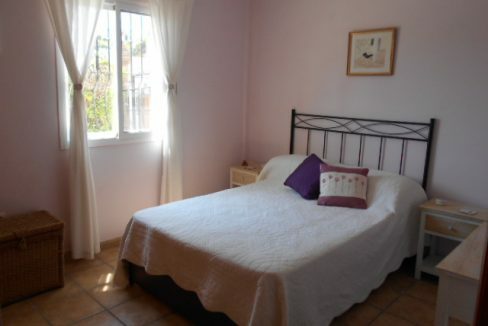 A spacious family villa over 2 storeys, set on a popular urbanisation near to the whitewashed village of La Vinuela. 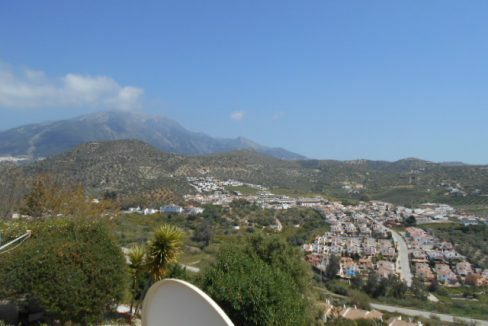 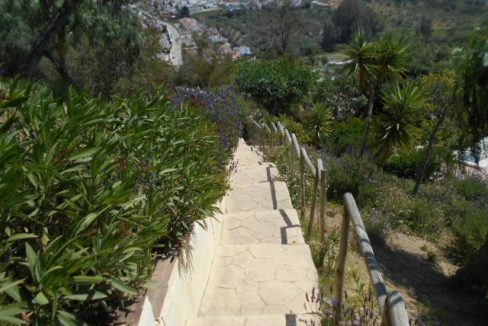 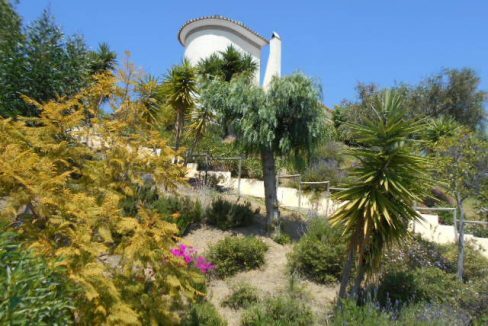 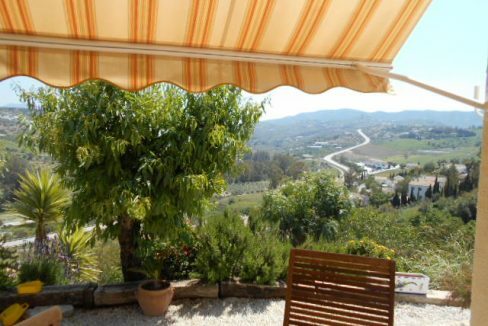 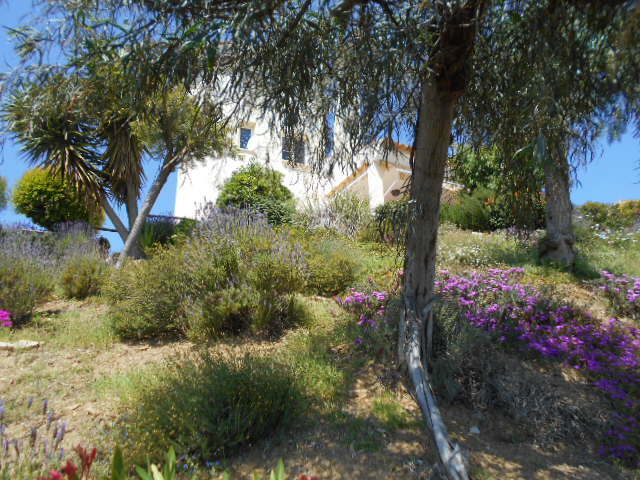 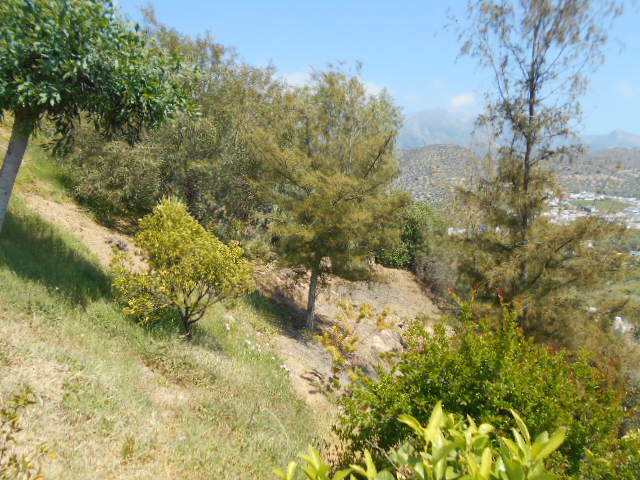 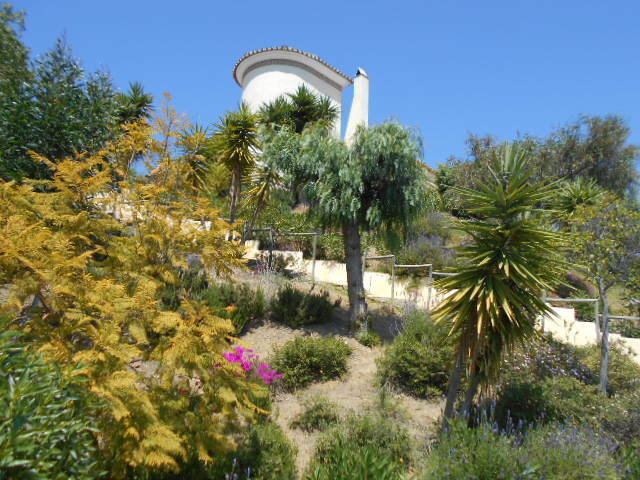 Panoramic mountain and countryside views, the gardens are set on different levels and are landscaped and mature. 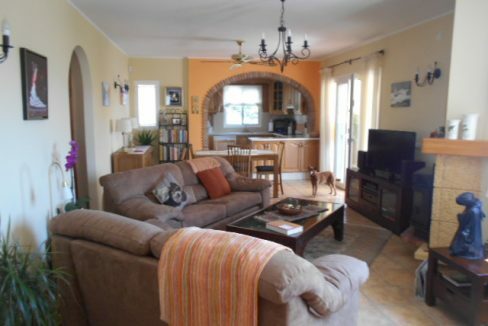 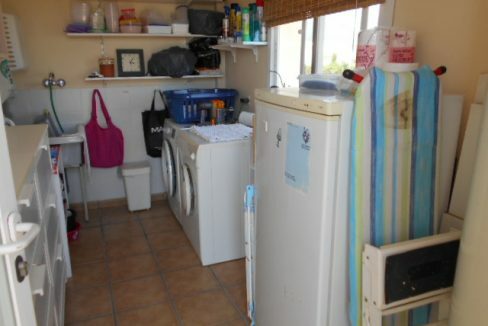 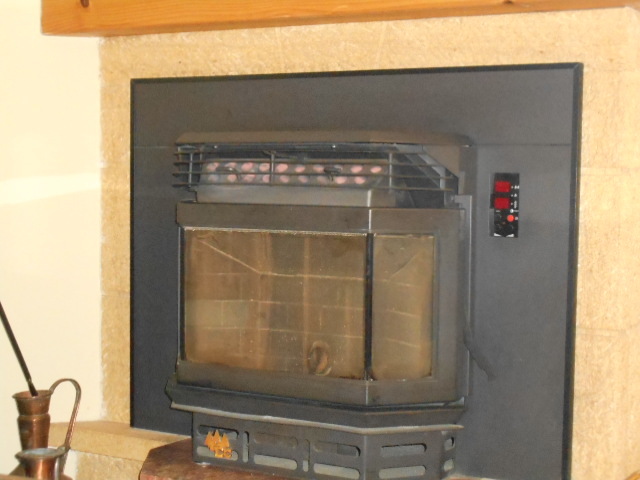 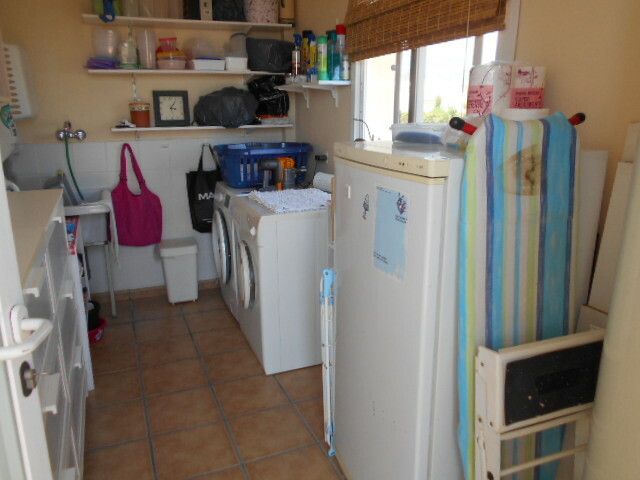 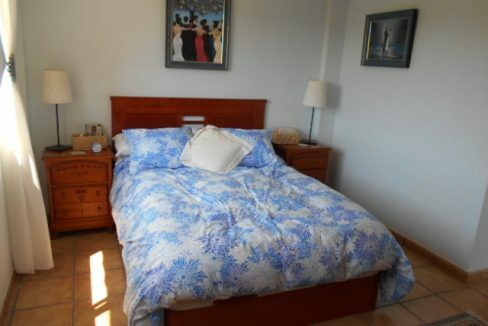 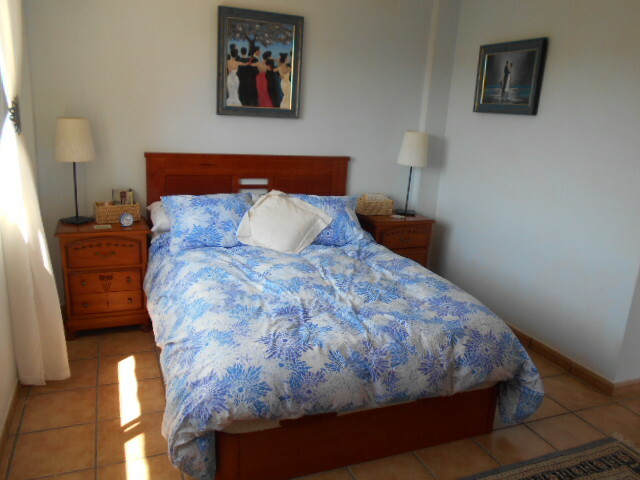 Lounge/diner with pellet burner and fans, fitted kitchen with all new appliances as renovated 1 year ago, 3 bedrooms, 1 double master with ensuite shower, air con and fans and terrace, 1 double with fan, 1 twin bedroom with fan, all with fitted wardrobes. 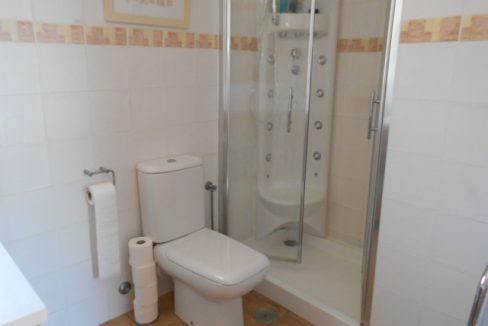 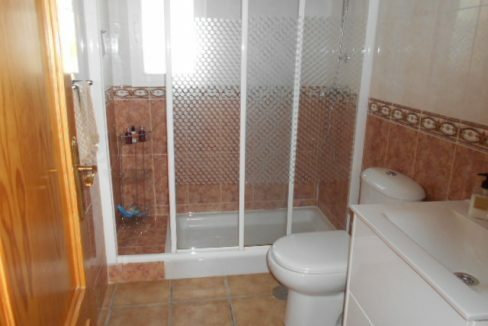 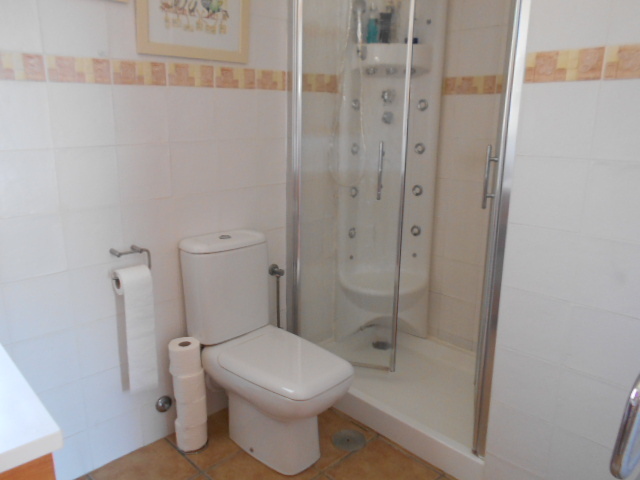 Guest shower room with large shower and heated towel rail. 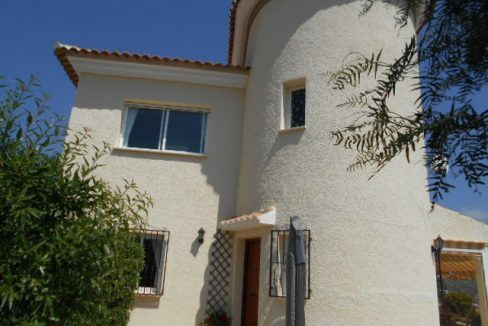 Lovely rounded turret and inside the sweeping staircase from lounge upto open studio at the top of the stairs out to terrace with utility room off terrace housing washing machine, fridge/freezer and heater. 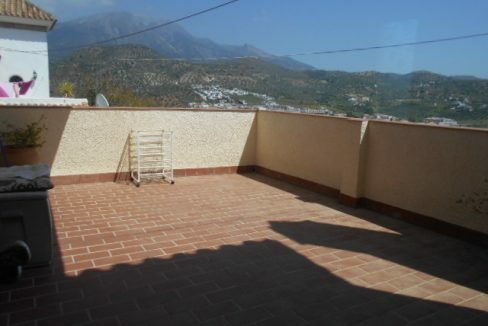 Roof terrace. 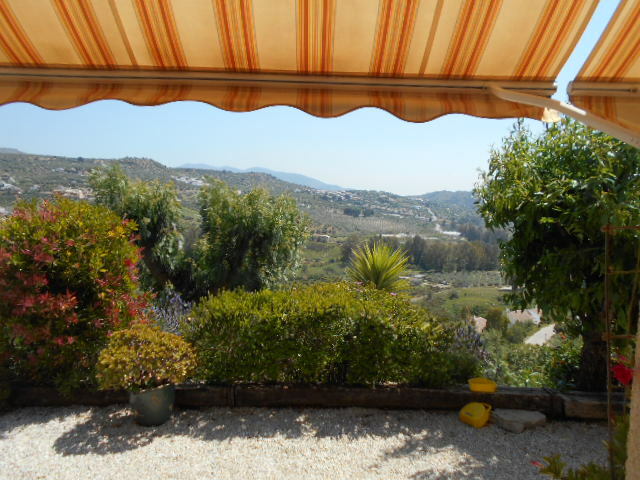 Covered terraces to the side and rear with awnings. 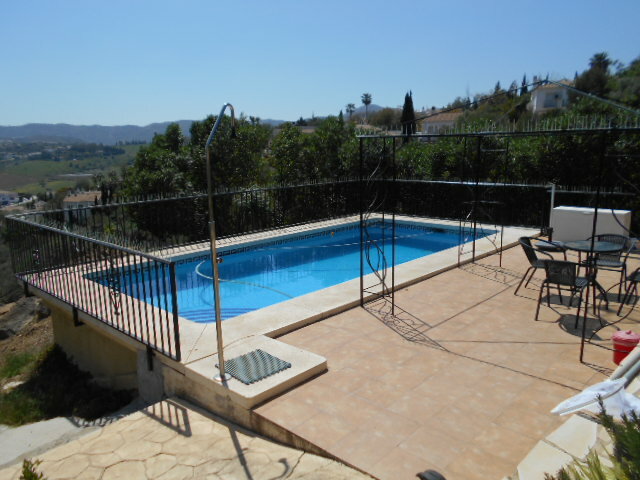 Private pool and terracing with gazebo. 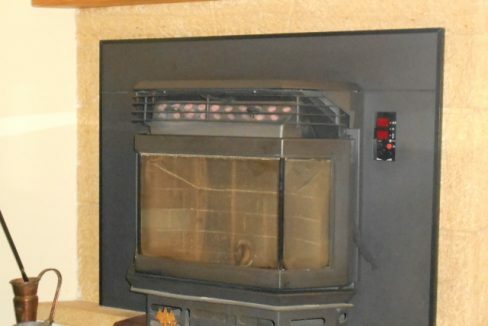 Brick built shed housing electrics. 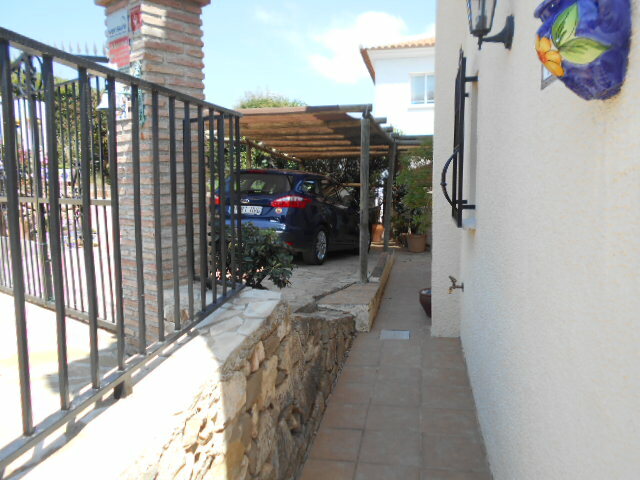 Off road parking and car port. 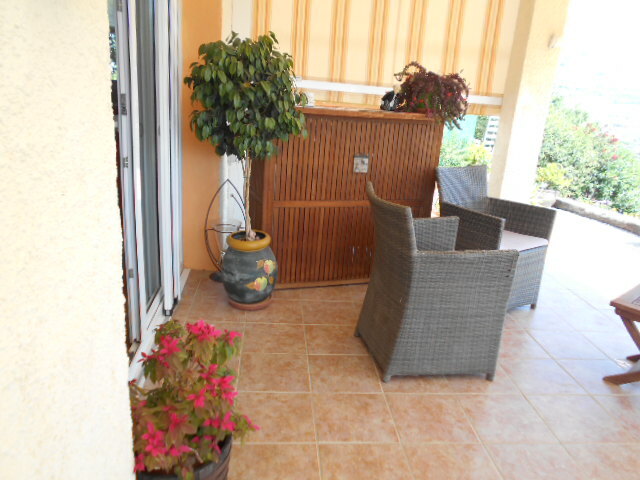 24 hour monitored security alarm. 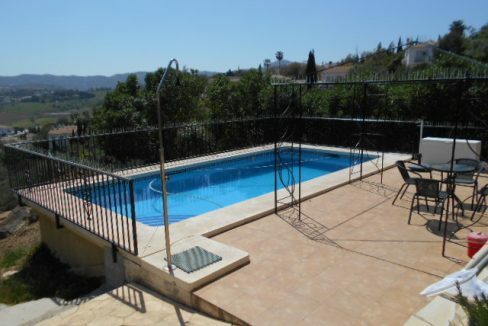 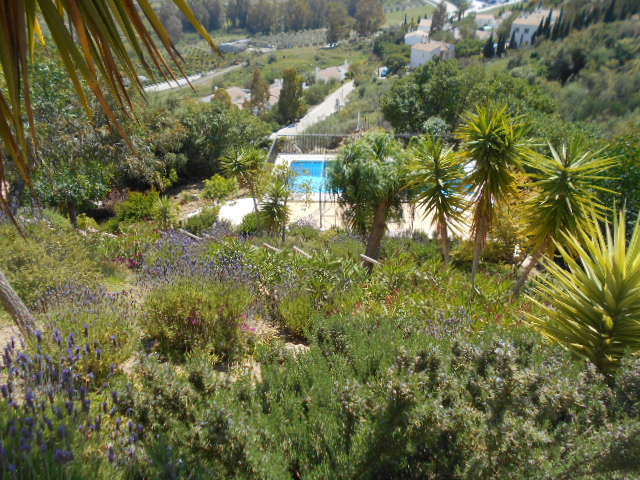 Fruit trees, 2000 Litre deposito and large storeroom to the side of the pool. 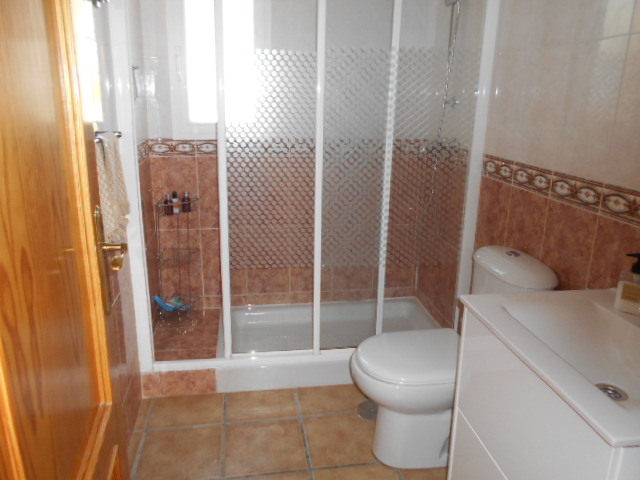 A good rental property or family home which is spacious and presented in excellent condition, close to all amenities with very good access.